Apple cider vinegar had been used through centuries in traditional treatments and remedies. It is made by crushing apples and adding yeast, sugar and bacteria to activate fermentation. During the first stages, it is similar to solid apple cider, owing to its high alcohol property. Both the organic and raw apple cider vinegar ferment naturally. As the fermentation progresses, the alcohol is slowly converted into vinegar. Several theories have been put forward to establish the relationship between apple cider vinegar and acid reflux. One of the most popular argues that ACV aids in equalising acid levels in the stomach or that it has the ability to moderate acid production in the stomach since the acid component of ACV is weaker than hydrochloric acid. Despite the mechanisms of its nature,most people consider it among the best treatment for heartburn. 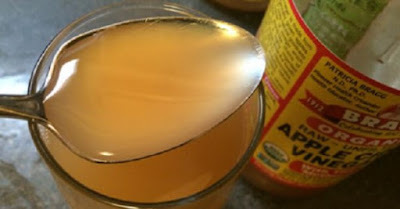 The primary way of taking ACV is diluting it in water to quell its effects then drinking it. However, if the taste is too strong for you, mix in a little honey and drink away. In small amounts, it is generally harmless but works like a charm.This ultimately reduces the discomfort and relieves the inflammation. It does have some risks, though – common side effects include blood thinning, tooth decay and throat irritation. Additionally, a precautionary warning applies to people with ulcers, stating that they should not consume ACV as this can drastically worsen them. Although using apple cider vinegar is highly recommended, there are no assurances that your heartburn will ease away. Unfiltered apple cider contains bacteria that usually turns the chemical into regular apple cider, commonly referred to as ‘the mother of the apple.’ This is usually very high in protein, hence highly beneficial for consumption. It may also serve to fix acid reflux that results from too little stomach acid, since it can introduce more acid into the digestive system. Finally, this acid may also help to fight harmful foreign bodies such as bacteria in the blood. Acid reflux, commonly referred to as heartburn, is really common but can be easily cured using apple cider vinegar. However, there is no absolute guarantee that it will be a solution and may introduce more acid into your system or cause side effects such as tooth decay.